The model and her sock designer boyfriend Rob Kardashian welcomed daughter Dream two weeks ago and Chyna is working hard to lose the baby weight. In a post on Snapchat, she told fans: "39lbs go away !!! Lost 23 lbs so far !!! Goal 130 post baby weight (sic)." When some people accused her of having surgery to aid her weight loss, she added: "So I posted a picture of my belly yesterday and the only reason it got that flat, you guys, is from breastfeeding and breast pumping and from my body already being small before my pregnancy. And for everybody that...yeah, sorry, try again. Not surgery guys." And Chyna isn't the only one who wants to shed the post-baby weight, as Rob has admitted he needs to lose weight too. Speaking previously about his shape, he said: "[I need to] get back on it now cuz our baby is here. (sic). "It's time for me to lose this damn weight already. (sic). " 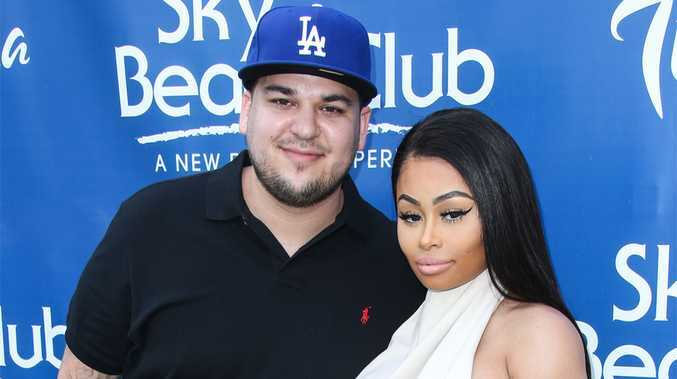 The 'Rob & Chyna' stars plan to follow a "strict" diet now that the baby has been born and Chyna - who already has four-year-old son King Cairo with her former partner Tyga who is dating Rob's half-sister Kylie Jenner - claimed she plans to undergo rigorous "waist training" to get her pre-baby body back. She said previously: "My goal is to gain, like, 100 pounds this pregnancy. I'm gonna tear it up, then I'm gonna snap back. Strict diet, waist training, detox tea and working out."